The Fine Gael led government is trying to break the nurses’ strike with a constant barrage of media propaganda. They say that the country cannot afford the nurses’ pay claim, as other workers would also start to demand a pay rise if they won. 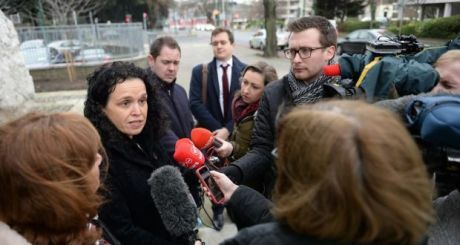 But Varadkar and Harris showed no difficulty in finding an extra billion euro to fund the National Children’s Hospitals – even though the projected costs grew by three times. Then bizarrely, they agreed to pay an extra half a million to the accountancy company, PWC, to find out why the costs were so high. The reality is that the HSE cannot recruit nurses because the pay does not cover the costs of rent, childcare and basic living in our major cities. There is now only 1 application for every 4 vacancies in the HSE. Nurses are leaving the country because they are better paid elsewhere. Nurses in Ireland also have to work a 39 hour week whereas many other countries they work 37 hours. The government claims that meeting the nurses’ pay claim would cost an extra €300 million. But they fail to mention that the HSE is paying out €78 million a year to agencies who hire in nurses. If the HSE could recruit directly, this cost would disappear. High pay would also mean that the HSE would not have to pay out €10,000 per head in recruiting overseas. The governments’ figure of €300 million is a gross figure and does not take account of the taxes that nurses pay. Better paid nurses means more nurses in Irish hospitals and that means better patent care, leading to shorter hospital stays. The reality is that nurses are the lowest paid workers with degree status. Their pay scales are €7,000 less than other comparable grades. They have every right to higher pay – as do other workers who also may feel that their pay is not enough. The only element of Ireland’s economy that is controlled is workers’ wages. There are no controls on rents, childcare costs, public transport, house prices and, of course, profits – so why is workers pay being controlled continually?